If you need assistance in France, I can help. From your very first steps when you find a property to your day to day difficulties when you are living here, I will give you a helping hand. Whether you require general information, help with property sales and purchases, planning permissions, utilities, French bank accounts, translations and the famous French bureaucracy or you need help to solve a problem, contact me. There is no charge for an initial discussion. 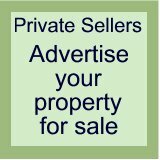 Are you buying, or selling, your property privately? Is your website in English? Do you want to attract more French speaking customers? I will not only translate your site into French, but by using proven keyword research techniques, I will help you to get those translated pages ranked at the search engines. Enquiries from the site can be translated. Liaison with your potential clients. Using the same techniques, I can improve the ranking of your existing pages in English. Contact me via the form below and I will get back to you to discuss the details of your requirements. If you want information or assistance, whether it has been mentioned above or not, send your request. There is no charge for questions that can be answered quickly by email.